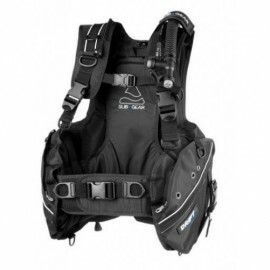 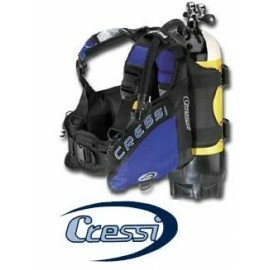 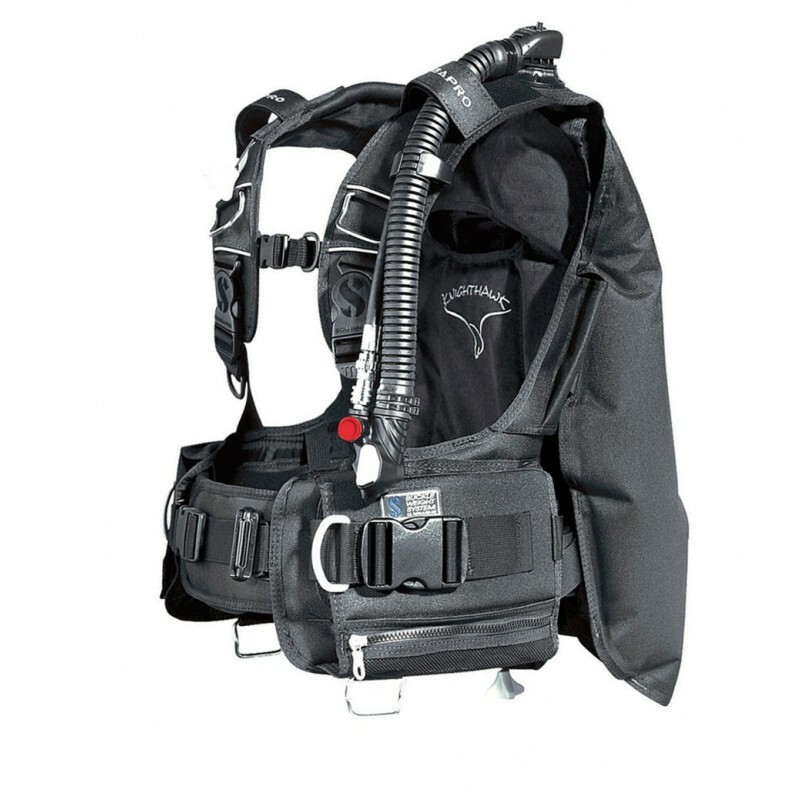 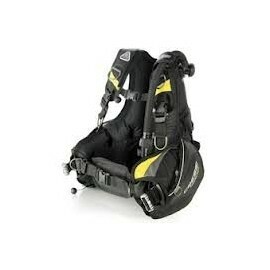 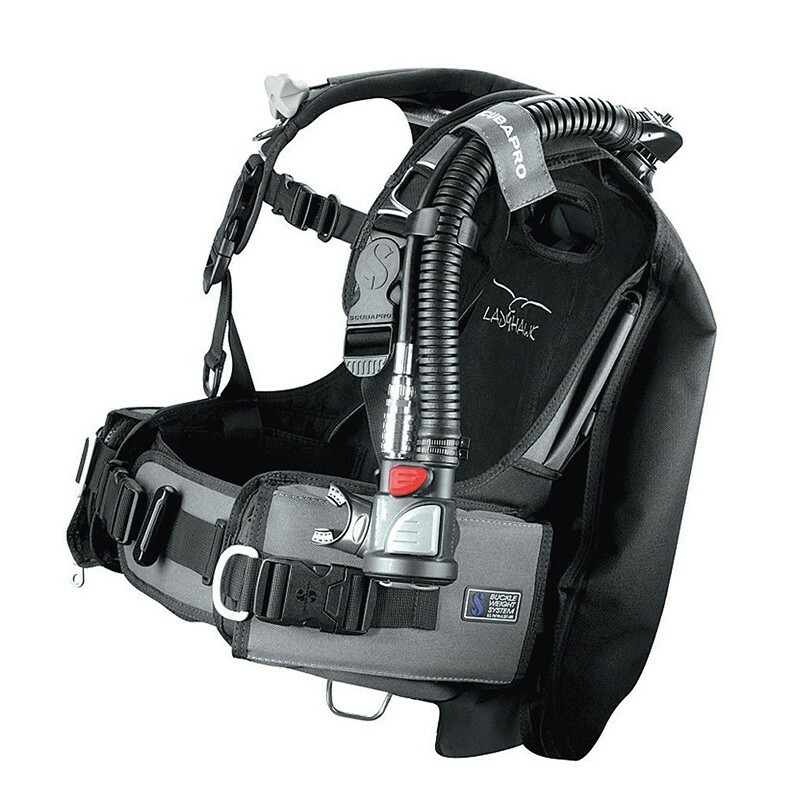 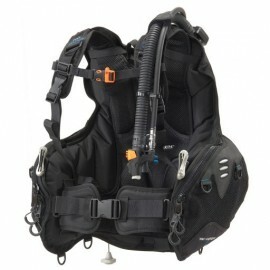 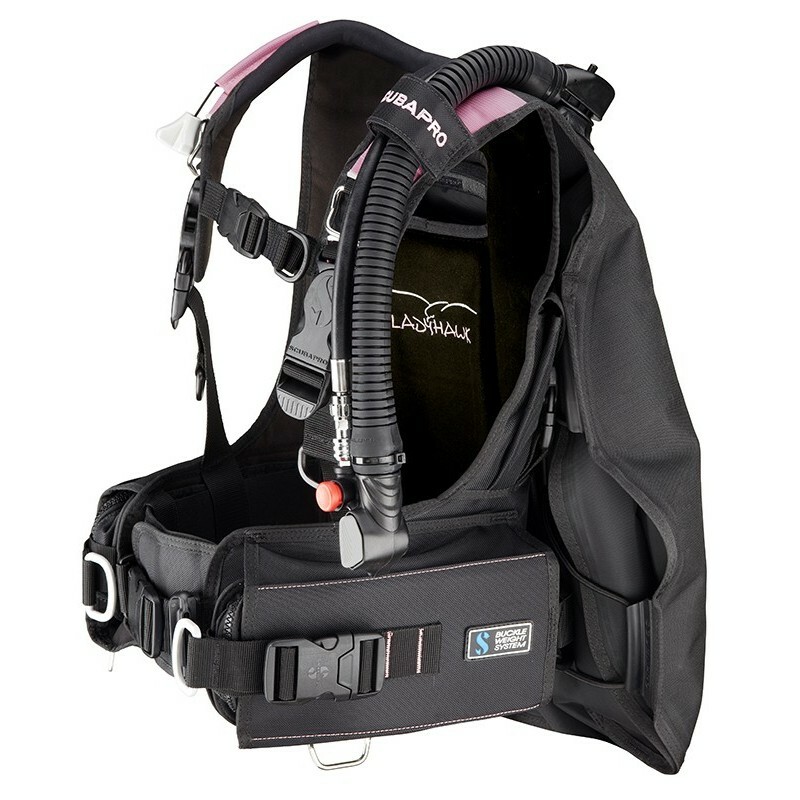 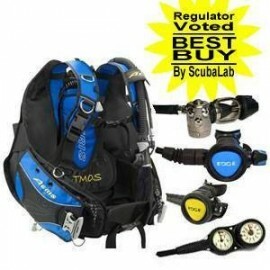 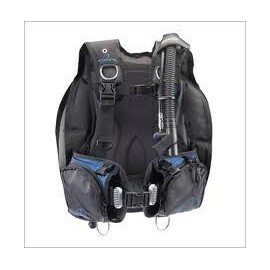 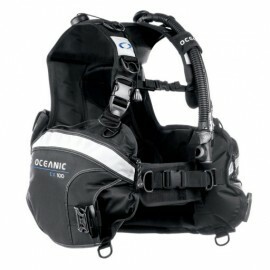 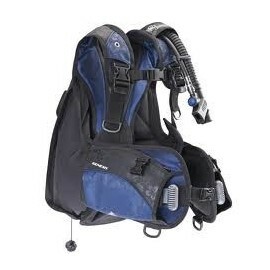 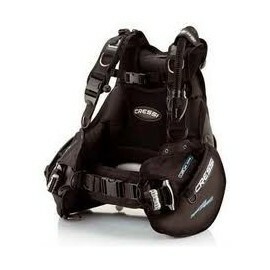 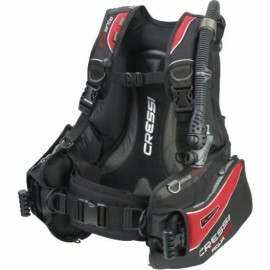 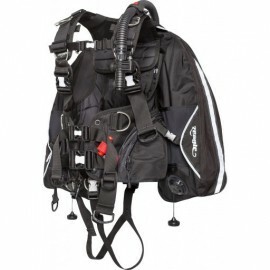 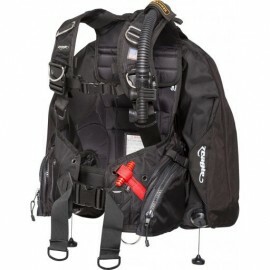 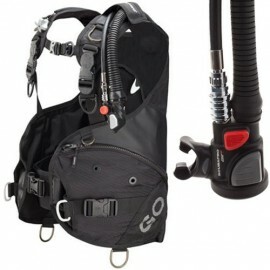 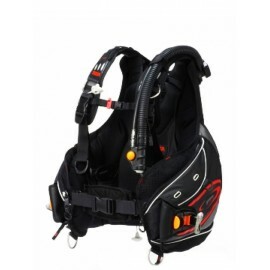 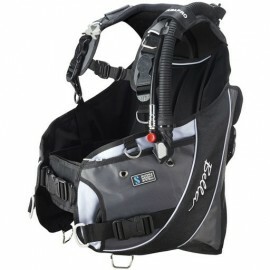 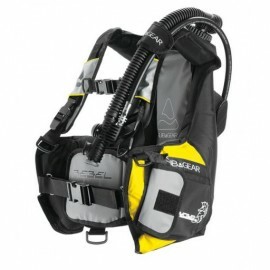 Divers get the benefits of back flotation in this super lightweight BC made for easy traveling. 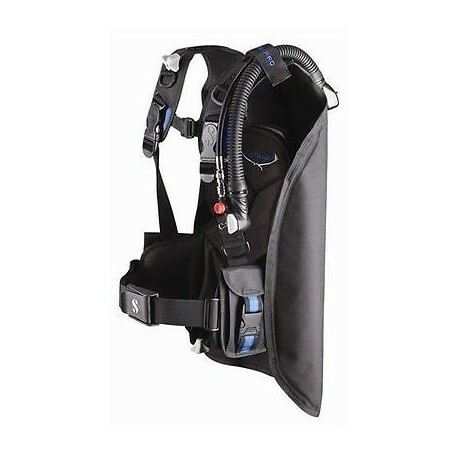 In the world of scuba diving, nothing exemplifies freedom of movement better than the feeling you get wearing a bulk-free, back-flotation BC. 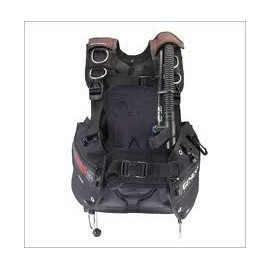 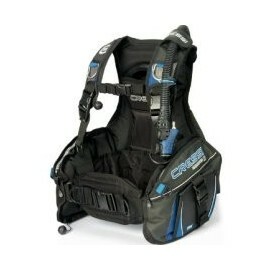 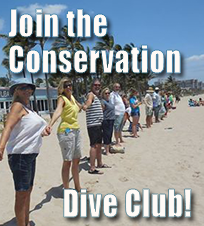 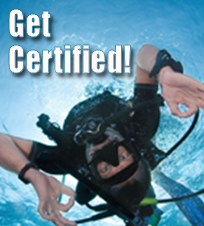 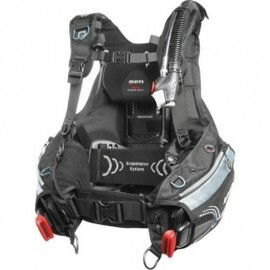 Especially a back-flotation BC built specifically for dive travel. 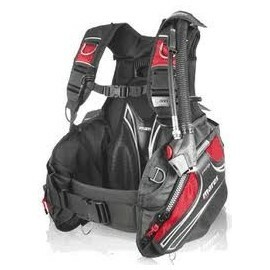 Like the LITEHAWK. 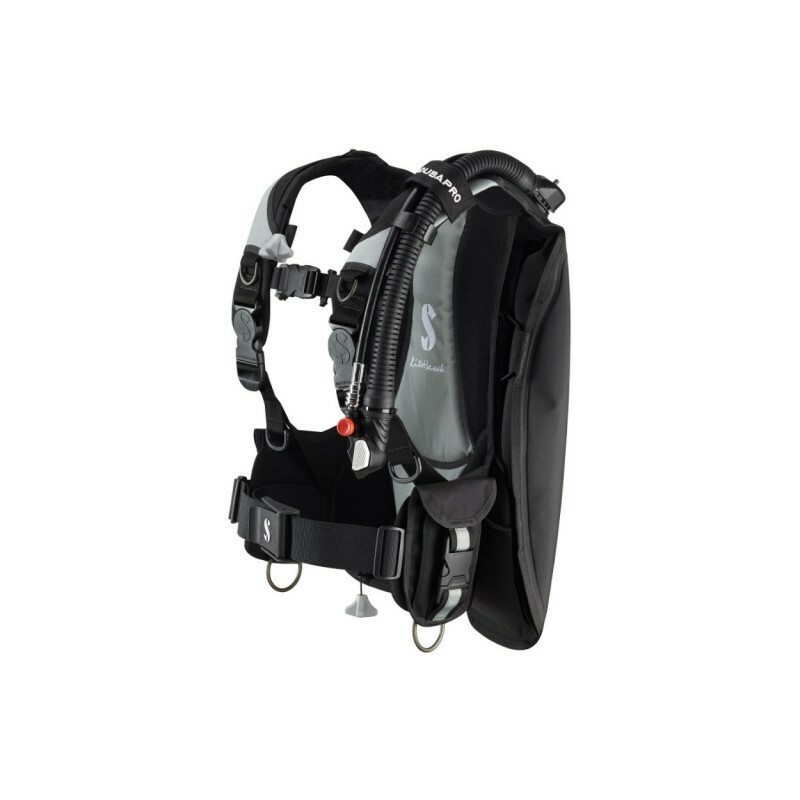 Featuring an ultra-slimmed-down design and a soft, flexible backpack, the LITEHAWK's lightweight, low-profile shape lays flat for packing, making it ideal for travel. 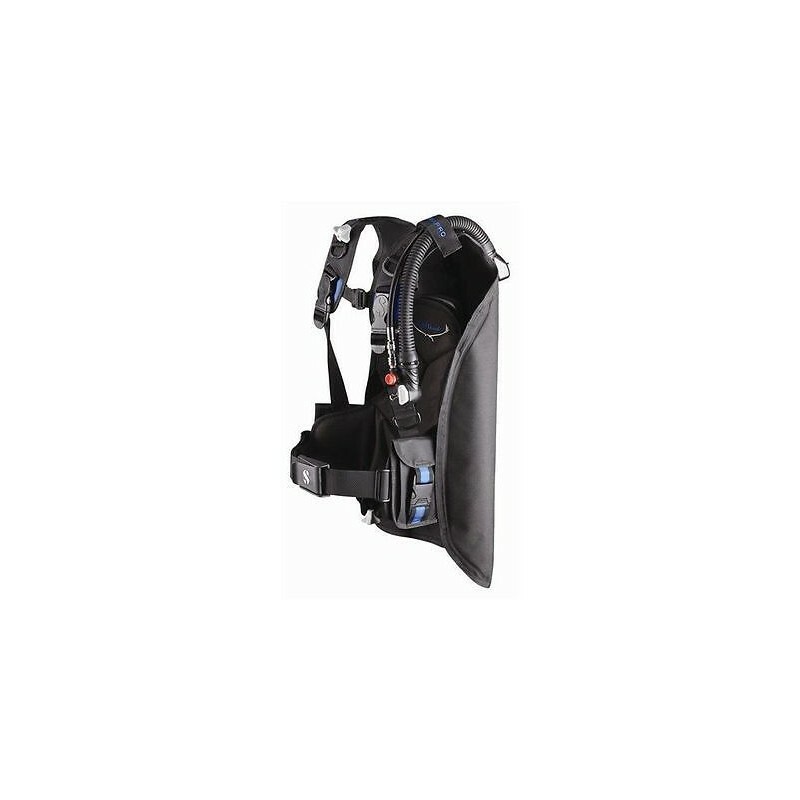 The adjustable belt-style waist strap with nylon buckle can be cinched up snug. 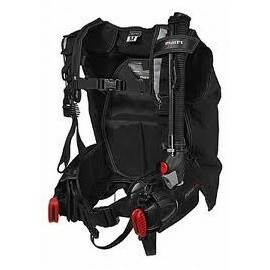 Add the quick-release rotating shoulder buckles that let you route the straps under your arms, plus the two-position sternum strap, and you end up with a BC that hugs your body like it was custom-made for you. 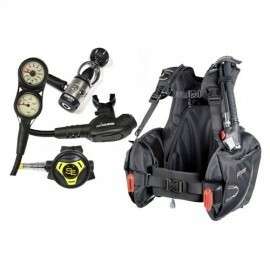 But you can't fully appreciate the LITEHAWK until you get it in the water. 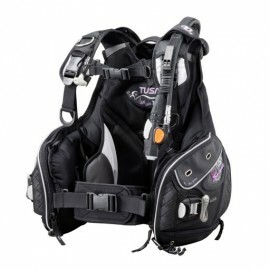 With the tank secured by a lower primary tank band, an upper support strap and an adjustable yoke strap, the entire system locks in, ensuring a controlled, stable ride at depth. 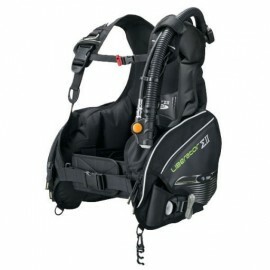 The BC carries no inherent buoyancy so only minimal ballast weight is required. 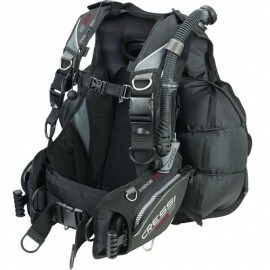 Consequently, the two non-ditching pockets can be used either to carry ballast weight or accessories. 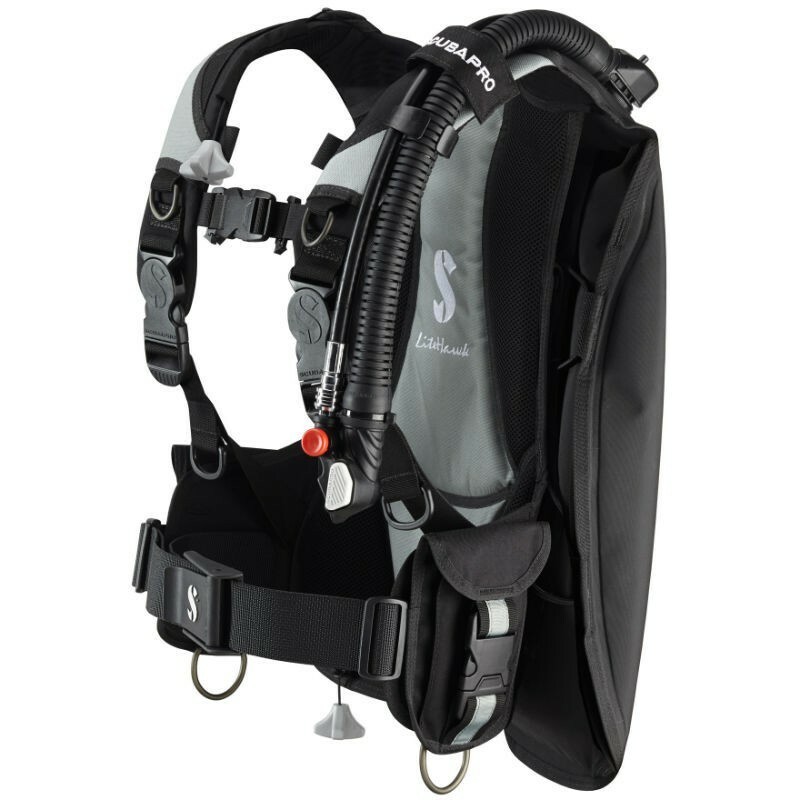 Optional quick-release pockets are also available, and four aluminum D-rings provide convenient clip-on points for additional gear. 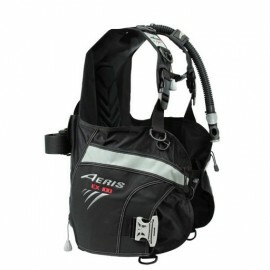 Two basic accessory pockets are included. 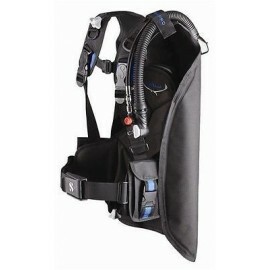 Optional quick-release pockets are also available. 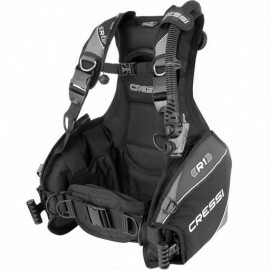 Available in three sizes with 29 pounds of lift capacity. 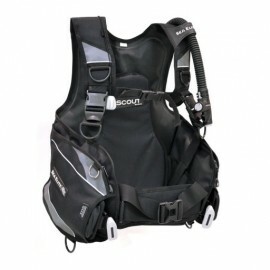 See BC size chart for details.